Drage Dogs is an agility coaching service based on the OneMind Dogs methodology. The company is run by husband and wife team Nic and Niki Drage. Niki is a passionate and energetic agility coach and competitor, She has been competing in agility for over 10 years and her passion for the sport continues to grow. Most recently Niki became interested in the OneMind Dogs system (www.oneminddogs.com) and started researching the methodology intensely. The focus of the OMD system on body language and connecting with the dog really spoke to Niki, so she decided to learn the techniques and foundations through online learning and it wasn’t long before she noticed the impact this methodology had on her relationship with her dogs. After several months of training with the OMD philosophy of “Connect, Commit, Cue” and learning and developing every day thanks to the online learning available at the OMD website, Niki attended an OMD seminar in Sydney with her competition dog Flow and her OMD addiction grew even stronger! Finally Niki had found a way to communicate with her dogs and let them know where they are going next, it really felt as though they were running courses as one. Before long the effects of OMD training were apparent in Niki’s competition results. Not only did runs start to feel smooth and almost effortless, but the amount of clear rounds and first places increased significantly as she learned to listen to her dogs on course. Niki will be forever grateful to OMD for the way their methodologies completely changed her attitude in agility and her relationship with her dogs. So in January 2015 when the opportunity to attend an OMD coach pilot program came up, Niki jumped at the chance to help share this wonderful philosophy with others. After an intensive week long training program in Finland with the OneMind team members, Niki is now a qualified OMD coach and is sharing the OMD methodology with students around Australia who are keen to get mentally connected with their dogs! 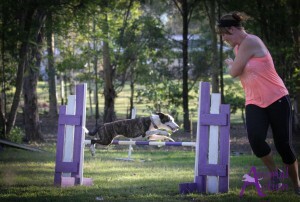 Nic is fairly new to agility having been involved with the sport since meeting his wife, Niki. 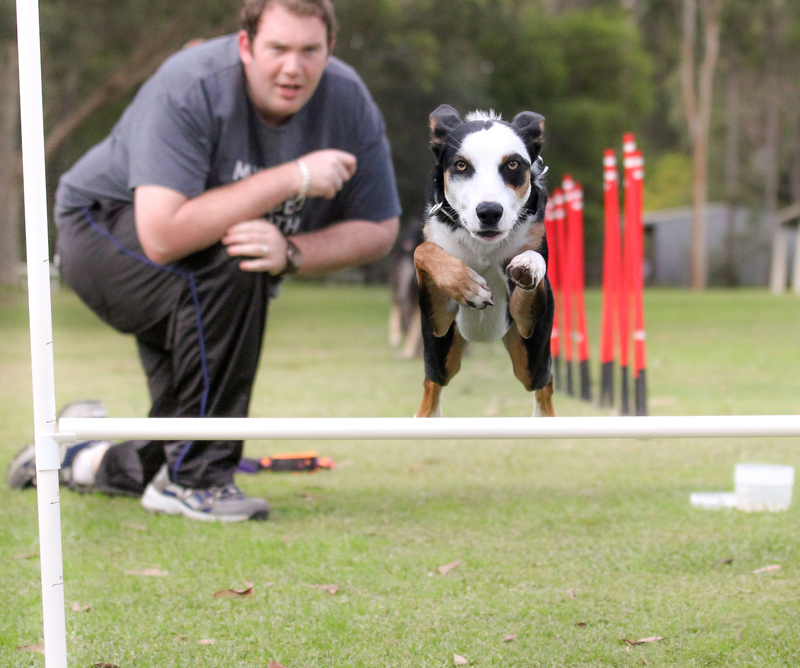 Nic has picked up the OMD methodology extremely quickly and benefits from starting out his agility career with a consistent and natural handling system. Nic strives to learn every aspect of training and competing in agility to the best of his abilities and he has been exceptionally successful in the sport to date. 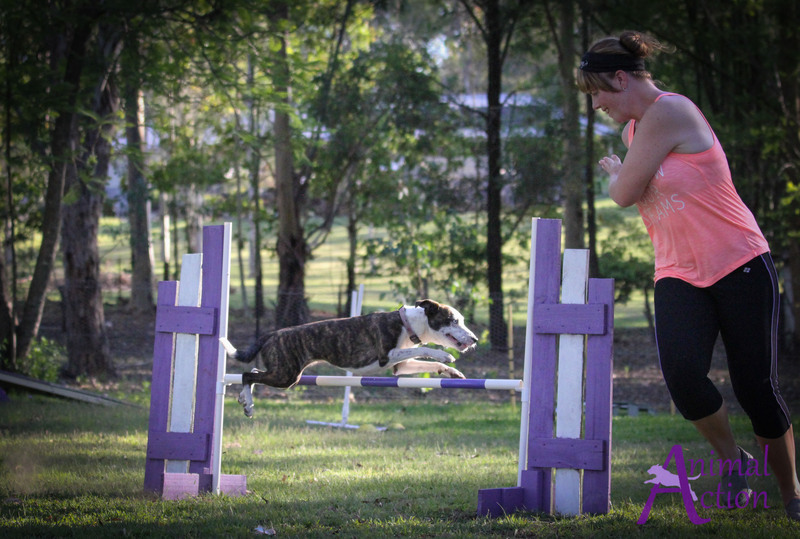 Nic and his first agility pup, Po, learned the inns and outs of agility and the OMD system together and since debuting in the agility ring near the end of 2014 they have enjoyed many successes together. They have a very apparent connection and Nic embraces the OMD philosophy of being mentally connected with your dog in every run. Nic looks forward to building on his knowledge of agility and OMD, and is aiming to share this knowledge with others in the future.